Even when I can’t make time to practice, I play the oboe every day. When I’m sitting in rehearsal I try to bring mindfulness to my work, so it’s not just walking through notes and rhythms but actively trying to be artistic, to be interesting, to play with integrity, to be great. This is why I can let practicing go on a busy day - it’s not that I don’t need it, but I can scratch that itch at work, while simultaneously doing something someone else wants. I’m a multitasker from way back. Writing though, is a thing I can’t do while I’m making reeds. Or when I’m in rehearsal. Or very effectively while driving. And somehow this creative task is an outlet that I really need. I think more clearly when I write. I fill the rest of my time more efficiently. And I feel better when I’ve gotten my thoughts out of my head and onto paper. 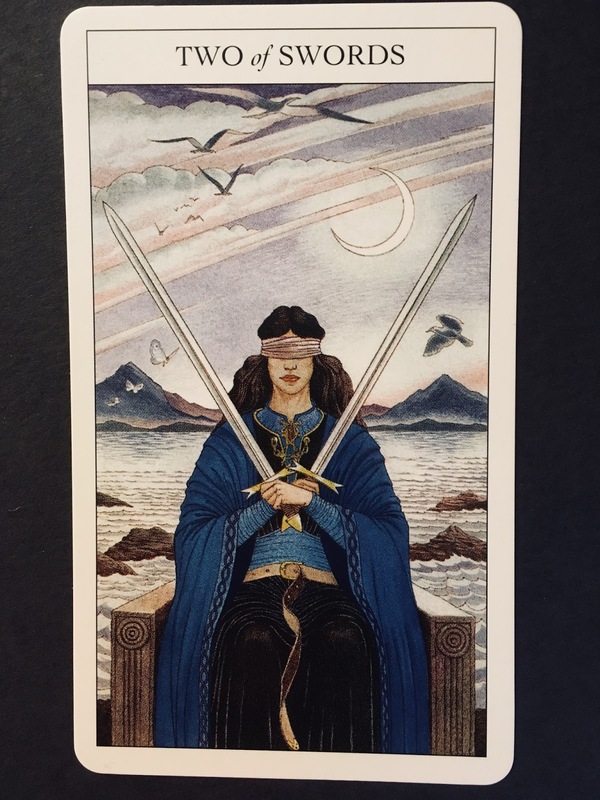 Last week I drew the Two of Swords as a card representing my week, and the moment it came up I knew that it was telling me to Decide. My stress in that particular moment was about not having enough time to prepare for my November recital, around a week filled with long meetings and non-playing days and fall break for Zoe. So I Decided that being an artist was important to me, and I Decided that putting in the work was important to me, and I got out my planner and made practice times for myself around all of my other obligations. I sacrificed working out, I sacrificed writing and creative time, I compromised on sleep, and I got some legitimate practicing in and I’m feeling better now. This week is different. I know I’ll be practicing (recital in November, you know). I haven’t bothered to draw a new weekly card, because I know what I need. 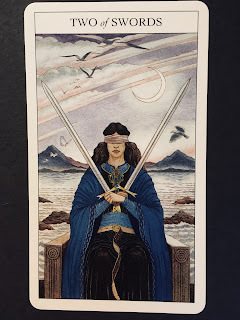 I’m going right back to that Two of Swords, and I’m DECIDING that making time for my own creative work off the oboe is important. No one has all the time they need. It's so easy to disappear into the relentless busyness of the day to day and let the important work fall by the wayside. But even in a frantic week of a busy month, there are some minutes. There are even some hours. You can find them if you decide to make it a priority. Now that I’ve decided, it’s just a matter of going back into my planner and following the steps to make it happen. This is comparatively easy. I’m moving forward, decisively, in the mission of being me.